Cozy sweaters, booties, sweaters, blanket scarves - I am so excited to wear all of these items again! While I'm here sweating it out and dreaming about cardigans some parts of the country are already experiencing the wonderful season that is fall. Let me say, I am 100% jealous of you guys right now! The weather has still been pretty warm (by pretty warm I mean like 80s and 90s everyday) here in RVA, but that hasn't stopped me from dreaming of fall fashion. So many fashion bloggers are showing off their amazing fall style and they have definitely inspired me to try some new looks this year. Today on the blog, I've put together a list of my favorite fall-inspired looks from a few of my favorite bloggers that I can't wait to try out! Keep reading to see what they are and how you can get the looks for yourself! This look from Sincerely Hales was one of the first fall looks that inspired me to try a more boho look this year. The Student's Wife shows how to rock layers for those days when the weather can't make up its mind. 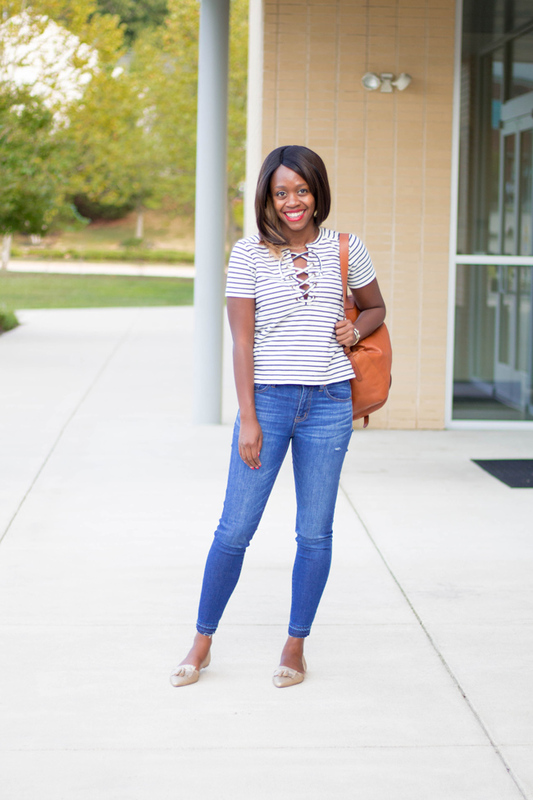 A Southern Drawl is my #1 place for fall outfit inspiration. Every year I find myself trying to recreate tons of her looks and this one is definitely on the list! 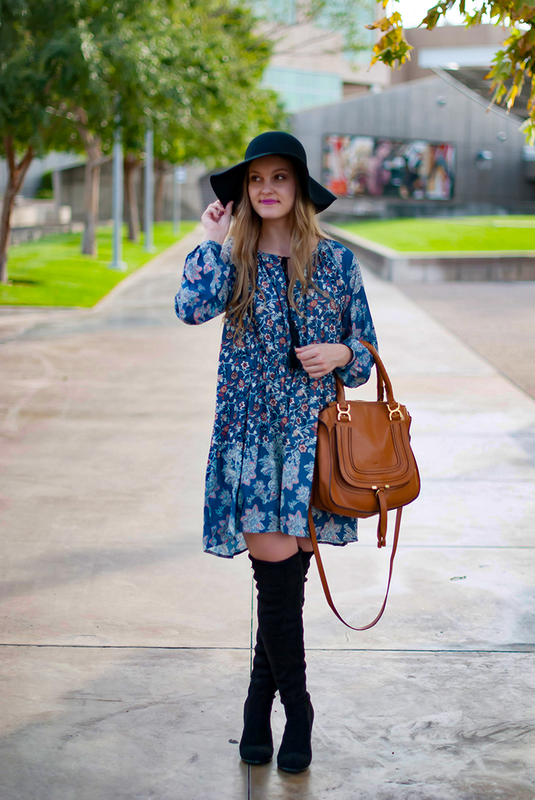 This look from Twenties Girl Style definitely has me in the mood for all things fall fashion! Criss cross front/back items are super high on my wishlist at the moment. Another source of my fall fashion inspo - Alicia Tenise! Her looks are always spot on and who doesn't need a pair of gold flats for fall? One of the things I love about this back to school time of year is that it feels like a new beginning even if you're not in school. 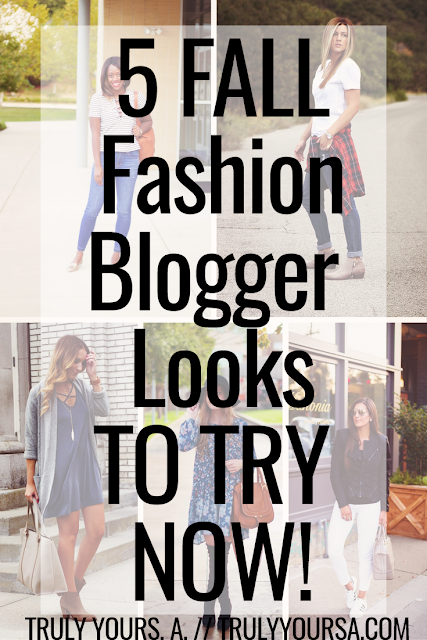 I love revamping my closet and discovering new styles from my fellow fashion bloggers. I can't wait to incorporate elements from all of these looks into my fall wardrobe. Which of these looks is your favorite? Let me know in the comments below! 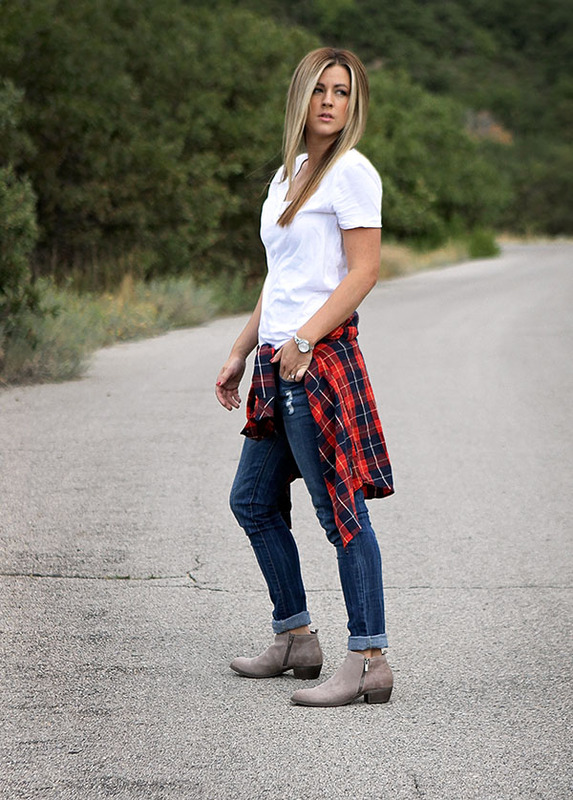 If you'd like more fall fashion inspiration, check out my fall looks from last year.